Hear Ye! Hear Ye! 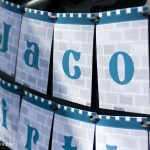 It’s Sir Jacob’s birthday and you are all invited to the Knighting ceremony! My daughter has been best friends with Jacob since diapers, so when I heard he wanted to have a Knights themed birthday party I was happy to oblige.